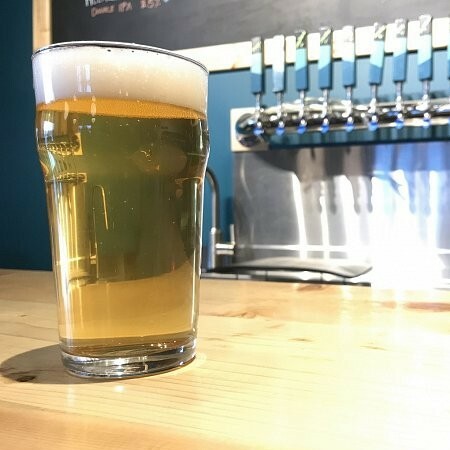 WHITEHORSE, YK – Winterlong Brewing has announced full details of its first ever lager – a German-style pilsner – which was released yesterday (January 11th) after an initial mention earlier this week. We selected 100% German pilsner malt to provide that characteristic light grainy malt flavour, along with new-age hop varieties developed in Germany for a more modern twist. This is our first time playing around with the Huell (Hüll) Melon and Hallertau Blanc hop varieties, which are not your traditional noble German hops. Huell Melon lends aromatics of melon and strawberry while Hallertau Blanc provides floral and fruity aromatics like pineapple, grape, elderflower and lemongrass. Jagged Little Pils is available on tap at Winterlong for glasses, samples, and growler fills while supplies last. For more info including some details on the inspiration behind the beer, see the full announcement on the Winterlong website.